Paul F. Iams started his dog food company with the belief that a superior quality dog food can come from innovation. The plan of the owner has taken shape and this idea continues to this day. Since as long as 1946, Iams has been producing quality dog food without complaint or conspiracy. In the 1950s they produced the first dog food to use animal-based protein as the primary source of protein and Iams 999 was an instant hit with owners and pets alike. Animal based protein sources have been deemed the proper nutrient foundation for a healthy dog diet. For Iams to be the first dog food company to recognize this fact highlights the strength Iams has in the dog food industry and the path they have carved for future brands. After introducing their dog food line, then the animal based protein line, Iams Plus was the next addition in the 60s. The ‘Plus’ product line used beet pulp as an ingredient to help with intestinal health. 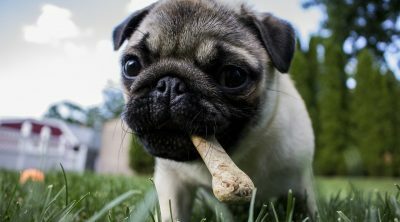 In modern society, most dog owners are aware of the importance of intestinal/digestive health of their pet. Keeping the digestive system working well helps reduce sickness and disease while increasing energy and immunity. A healthy digestive system also produces shiny eyes, soft fur, and smooth skin. With the digestive system removing potential toxins and waste regularly, the toxins that would thereby ruin the looks of your pet are removed. Toxins that would cause allergic reactions, skin irritants, or otherwise damaging results are also removed in the healthiest way possible, preventing any future flare ups. Prevention is the best medicine, and the easiest way to prevent is to flush the system and keep the intestines healthy. For Iams to recognize this fact over fifty years ago, ahead of the other more modern lines introducing digestive health foundations, shows how Iams has been an innovative leader in the dog food industry over time. In the 1970’s, Iams began another line of food called Chunks for dogs. The Chunks for dog’s line came along with the famous paw print logo that is still found on each Iams product today. In the 80s Iams became one of the first companies to produce specialty foods for dogs at different life stages. In previous generations, dogs were considered to be just ‘dogs’ at most every stage of life. Diets were not considered by many in regards to their dogs, therefore dogs were fed simple dog food created from whatever ingredients happened to be of use at that time. As generations evolved and research was completed, Iams began to understand the importance of feeding the dog where the dog was at developmentally. 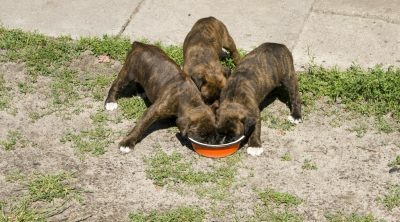 Iams recognized that puppies require more protein to help form strong bones and healthy joints. The development of a puppy is greatly different from the development needs of a senior. The needs of a mid life dog also differ from that of those older and younger. Identifying the key nutrition factors in each life stage is the key to developing the precise type of food needed. Iams recognized the need for puppy food, but also recognized the fact of older dogs requiring more vitamins and minerals to keep healthy and active in their twilight years. Senior dogs may need a bit more nutrients that benefit bone strength and joint movement. Just as older humans get creaky and achy in old age, so do their canine counterparts. Adding minerals into the food to add happiness in old age is a bonus from Iams. Omega-3 and omega-6 were discovered to be hugely beneficial for a healthy skin and coat in the early 1990s and in the 2000s. These minerals are also beneficial to the brain, heart, blood, eyes, hair and skin of your dog. Many dogs do not eat fish regularly and thereby require a supplement of fish oil for the benefits of omega 3 and 6. Iams food incorporates these minerals in their food so you don’t have to! All dogs can benefit from omega 3 and 6, no matter their life stage. 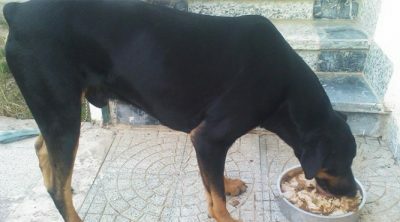 Iams introduced the Premium Protection Line, which contains DHA to all of the puppy recipes, and is the most advanced dog food they have ever produced. Baby formula for humans has begun to incorporate DHA into their ingredients, and dog babies are not any different in this regard! All developing brains can benefit from the addition of DHA. In the past few years Iams has continued to innovate and has not rested on their laurels introducing Shakeables Dog Treats, Iams Woof Delights and Purrfect Delights for our feline friends. Procter & Gamble is the giant multinational organization that manufactures the Iams food lines. For many people the two companies working together was not a surprise, as both Procter & Gamble and Iams have a history of using a similar quality of raw materials in the manufacturing of their products. As a manner to ensure value for money, both P&G and Iams use their combined experiences to ensure safety and quality as well as the purity of their products. Overall, the Iams brand is not as competitive in a nutritional manner as the other dog foods on the market. Iams uses cornmeal, which is seen by some to be just cheap filler. Cornmeal is just a cheap filler and of not much nutritional value to the dog. 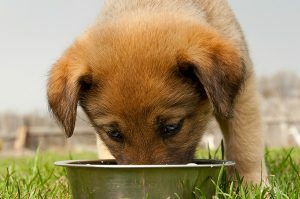 When using a filler, the dog food company should at least use an ingredient of nutritional sources. Raw chicken is also touted as a prime ingredient, but the chicken used contains around 80% water-so the food may not be as highly nutritious as some of the other dog foods that are available in today’s ultra competitive high-end dog food market. They also use whole grain sorghum, another filler and chicken by-product that includes everything that you may find on a chicken factory floor, beaks, eyes, organs, blood and feet. While that does not sound very appetizing, they do provide a lot of nutrients and minerals. Some dog food companies choose not to use these parts of the chicken in their ingredient list, but Iams does. Whether for protein purposes, or a higher profit margin, one does not know. Iams has a decent ingredient list for being of lower nutritional content than competitors. The first ingredient is chicken. Using a fresh meat as the first ingredient is a good thing, but the chicken used is reduced to mostly water after cooking and may not be as beneficial. Next on the ingredient list is sorghum-a cereal grain and similar to corn. Sorghum is free of gluten, which is a relief to many dog owners who suffer a gluten allergy. More companies are opting for gluten free ingredients to better attune their nutritional base to the needs of their canine clients. Barley is listed as ingredient number three. Barley is a seasoning used often in human foods, so viewing this ingredient on a dog food recipe may be surprising. If this is surprising, it should be. The season is starchy, of little nutritional content yet high in fiber. As a fiber booster, barley is a good ingredient to incorporate. 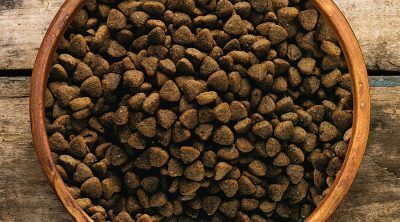 However, if looking to raise the fiber content of the food, one should use a food that has other, stronger nutrients within so that the dog is better able to benefit. Chicken meal is the fourth ingredient, which is a little concerning since the chicken meal should be number one or two on the list to be of a higher benefit. Chicken meal is a mixture of chicken meats to create a higher protein count of chicken. Many food lines use this ingredient first or second because the ingredient has 300% more protein than standard chicken. A dog’s diet must be protein based, therefore the highest amount of protein should be put in the food first. Next on the list is lamb. Lamb is a great ingredient, however, the type Iams uses reduces to mostly water and does not contain all the vitamins and nutrients of lamb eaten as-is. After lamb is fish meal. Fish meal is another great source of protein, but the types of fish used in the fish meal are not advertised. When knowing which type of fish are used, a dog owner is able to decipher which fatty acids and omega 3’s the dog will be ingesting. The last ingredients are brewers rice, beet pulp, peas, apple pomace, and non chelated minerals. Rather than boost the nutritional component of this food, the last of the ingredients simply solidify the low quality ingredients used in the food from start to finish. Brewers rice is a cereal type of food used as a filler and with little or no value other than filling. Beet pulp is considered decent, since the beet pulp offers fiber contents. Intestinal help is important, but the beet pulp does not have many other ingredients to work with and may become the stand alone account for fiber. Peas are a good source of fiber and protein as well as carbohydrates. Adding this ingredient in the end of the recipe is good, but the recipe really should call for a higher amount of peas to boost its rating on the ingredient list. Apple pomace is added, but derives from juice. Minerals added are non-chelated minerals, meaning they are fairly low on the quality scale. It is hard to know exactly what to think of Iams ingredients overall, but there are certainly worse foods out there. While Iams poses the claim to be a premium level brand, some of the ingredients used are not those seen in other premium brands. The ingredients used are most often used in low quality brands, and there is not much about Iams that ranks above those competitors. There is no doubt they have a great history though and with the mighty Procter & Gamble behind them certainly they will be around for years to come. Value for money and a strong market presence means Iams dog foods will continue to be one of the best selling dog foods across the country. With Iams being a rather large organization, with a hefty partner in P&G, there are quite a few recipes for your pets to try and experiment with. Iams has begun to include recipes according to developmental life stages, and online reviews rate these recipes from 2.5 stars all the way up to 4 stars on a scale of 5. 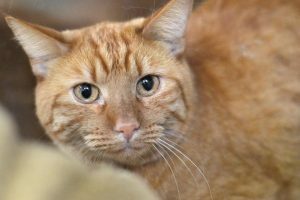 There is such a range of foods, qualities, and reviews that determining which food is right for your pet might prove to be tricky. These recipes vary in taste and nutrition, depending on the type of meat your dog prefers. Some dogs prefer fish over chicken or vice versa. 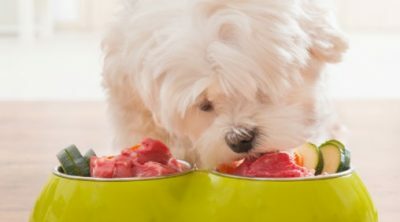 Whether your pup is old or young, or prefers a certain lean meat, there should be a recipe in line with your dog’s taste, temperament, and stomach tolerance. Some Iams recipes are not as modern as others and contain more fillers than ought to be included, and more processed meats than should be added. The Iams line seems to be moving and adapting to a healthier version of their previous foods, offering healthy nutrients and probiotics that were once overlooked. The Proactive Health line features an Adult Lamb Meal and Rice option, which contains Omega-6 for a healthy skin and coat. The fact that the carbohydrates are provided by rice and not wheat, corn or soy based fillers, help keep skin flake free and lowers the chances of dry, irritation so common with food that features a high level of gluten. Beet pulp, probiotics and tailored blend of fibers aids healthy digestion. Probiotics are the ‘good’ bacteria that help control the levels of bacterial pathogens in the gastrointestinal tract and help to keep your dog on a regular toilet regime. The Iams Proactive Health Adult Minichunks is a smaller sized kibble, which will suit a younger or smaller dog; the muscle building protein element of the food comes from chicken and eggs. Many people avoid eating chicken with egg but it is very doubtful that your buddy will care when they are hungry. Seven essential nutrients including a balanced amount of fats and carbohydrates help protect a healthy heart and again omega-3 and omega-6 fatty acids help maintain a shiny coat, healthy skin, and clear eyes. L-carnitine is added to help burn fat to control weight gain and maintain a healthy metabolism. The Iams Premium Protection Adult dog food features its top five ingredients, chicken by-product, corn meal, ground whole grain sorghum, and ground whole grain barley and flax meal. The fact that a by-product is the first ingredient and there are three fillers is a little worrying, but the vitamin and mineral content is excellent and there is no need to give your dog any supplements when feeding them this food. 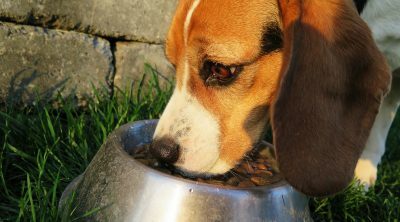 Grain free pet food lines have been increasing in popularity after research has begun to show the possible ill effects of diets based upon grain. Iams does provide a grain free line and the Grain Free Naturals Adult Chicken + Garden Pea Recipe are a higher quality product. There are more vegetables here and farm raised chicken is the source for the protein. There are no artificial preservatives, colors or flavors and neither do they contain corn, wheat or soy. Save 20% every time with every purchase when you sign up for auto ship program. 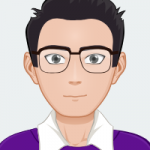 You can also check out the prices and reviews on Amazon here. Iams is long known and relatively popular brand of food that is not often questioned for its nutrition. With new information coming out in relation to the diet of a dog, many dog owners are beginning to relay into the food quality and evaluate the brand. Iams may not be seen as ‘bad’, but the food is not on par with high quality ‘good’ food either. Iams is plant based, and with a 2.5-4 star rating by most. The 2.5 or 3 star rating is the most common and this may be due in large part to the lack of a protein based ingredient list. Between 2010 and 2013, there were four recalls listed for Iams foods and treats. Given that in the three year period more than one recall was issued should be a red flag. However, in the three plus years after the last recall, there has not been a known recall or issue with the food. With a better track record the past few years, Iams may have made quality changes in the manufacturing process and began to reflect on creating a better product.